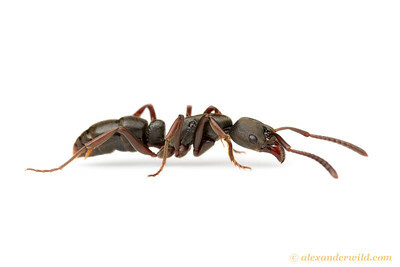 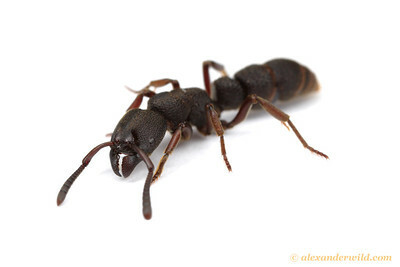 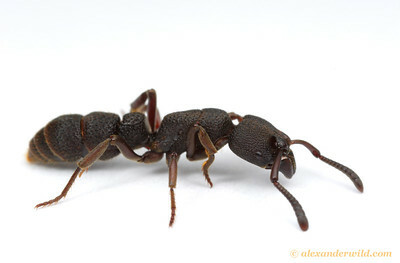 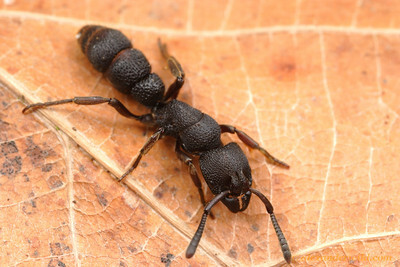 is a genus of robust ponerine hunting ants found in Madagascar and Sub-Saharan Africa. 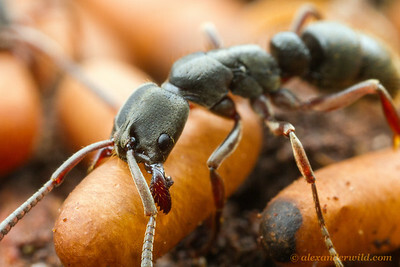 Little is known of the biology of this group. 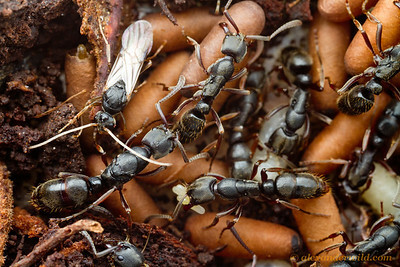 A hunting ant colony showing the queen (lower left) and a winged male (upper left) among workers and brood.